Michelle Wolanin is the Director of Marketing at Goodman Real Estate Services Group LLC. Michelle graduated from Pennsylvania State University in 2006 with a bachelor’s degree in Business Management and a minor in Marketing. From her previous position with a Fortune 500 company division, she brings nine years of significant marketing background to the company. 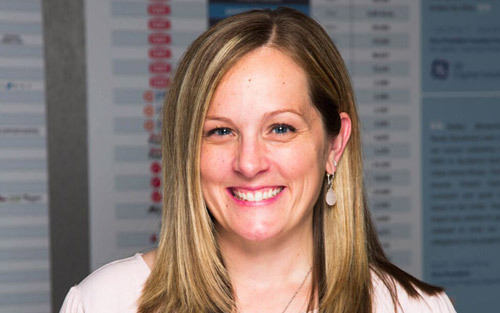 Michelle’s responsibilities range from overall company marketing supervision, including maintaining the company website and social media sites and coordinating advertising, to providing customized collateral for the leasing and sales team. Her duties extend to the company’s ongoing market research and analysis and specific client market presentations supporting the company’s tenant representation services.